We’ve been so excited about joining the ‘City of Ale’ festival for the first time this year but not without a degree of apprehension also. Ales are a full time commitment and our cellar and the logistics of getting barrels to and from it (there’s a market stall over the hatch as of 8.30am each morning) has meant we’ve had to get in to a strong routine over the past year. On Wednesday morning it actually seemed like I might never get out of the cellar. Every time the hatch closed, another delivery turned up and back down again I went with bleary eyes. 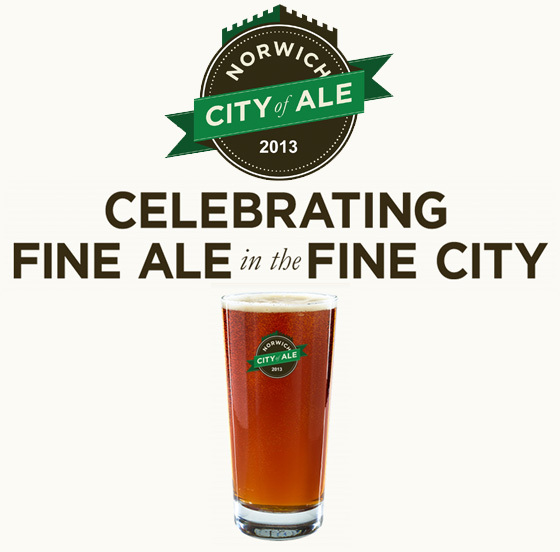 The ‘City of Ale’ festival was set up by a passionate group of individuals to promote Norwich, nationally and internationally, as the UK City of Ale. It now runs as a ten day festival around May/June and the buzz is fantastic. 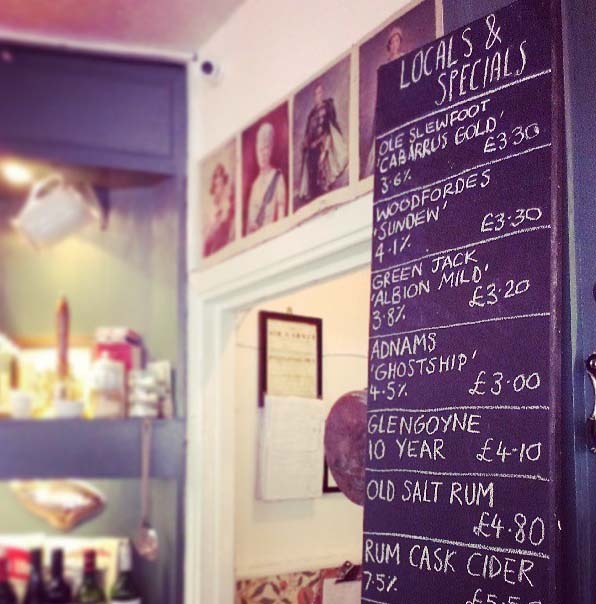 With so many great pubs and breweries at our disposal in Norwich we couldn’t be more proud to be a part of it. For me it was also great to see life breathed back in to St. Gregory’s church on Pottergate for the opening party. Despite the haphazard Summer and doom mongering about the economy, it really felt like Norwich was not only ploughing on… it couldn’t care less. The return of Lacons brewery has also added a touch of ‘stuff the recession’ in to proceedings. We sold out in the first two days they were all lined up. 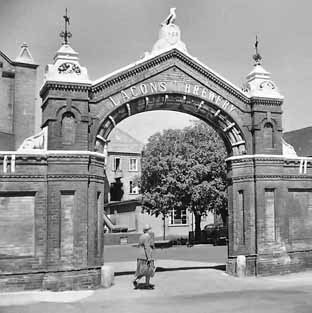 It’s been also lovely to read and learn about the history of Lacons on their web-site. As the last few days of the festival finish i’d like to say a special thankyou to everyone for getting involved, to the organisers… and also to the guy from CAMRA Gt.Yarmouth who popped that man in his place last week about the taste of one of the offerings! Curious goings on when wandering through the market to the pub the other morning. A girl was struggling with a big mass of long black balloons, trying to shove it through the entrance of the Undercroft (under the war memorial). 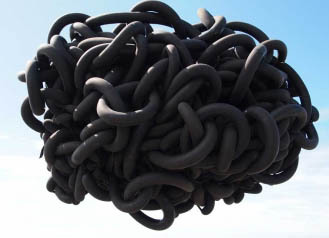 From Friday 10th – Saturday 26th May these intriguing clouds of black matter will be inhabiting that space like a strange think tank. There will be a series of related talks and workshops also happening whilst it’s in situ. So how do you feel when you walk in? Supposedly these balloons represent an emblem of misery and pessimism. I am guessing a sort of brain, confused and over-whelmed. 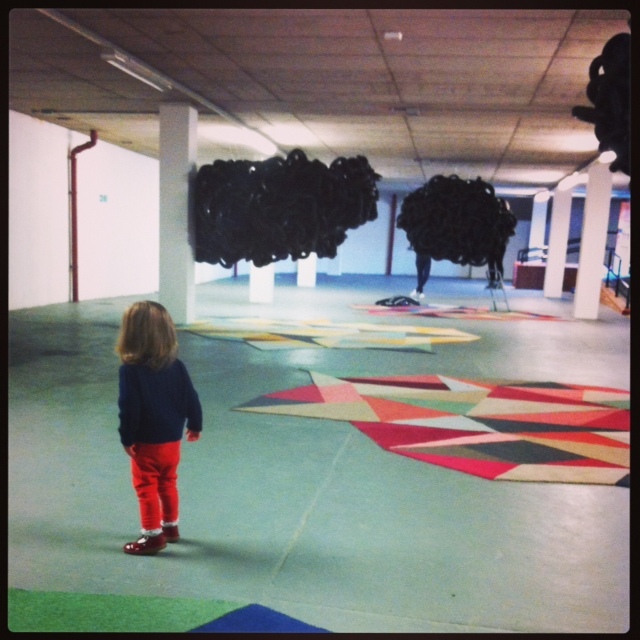 But the patterned slices of triangle carpet, whilst chaotic, seemed to offer a sort optimism. Partnered together, there is definitely something very special about sitting under one of these sculptures. It gives a moment to let imaginations run, yet also a moment to gather thoughts. … definitely worth popping in to!